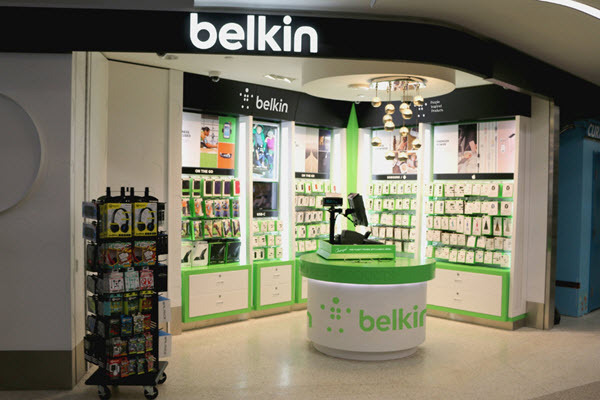 Belkin has opened its very first brick and mortar retail space in LAX Airport. The store is located in the newly renovated Terminal 6. Belkin is known for its computer, tablet and smartphone accessories including chargers, cases, screen protectors, surge protectors and cables. Chargers are a must-have item for travelers at airports these days so the new Belkin is in exactly the right place to find shoppers. Erik Burgers, director of sales, Belkin, says in the announcement, "With the opening of our first retail store at LAX, we are excited to introduce the world to the latest Belkin products in one place. LAX is a major international travel hub, which made it the ideal destination for a Belkin store. As we continue to innovate in the accessories market, this outpost will be a great place for consumers to stock up on the latest chargers and other travel must-haves to power and protect all of their mobile devices." The Belkin store is located next to Mac Cosmetics and will be open from 6 a.m. to 12 a.m. every day. Hudson Group says 24.5 million passengers are expected to pays through the aiport this summer.